What are some problems caused by armadillo digging? Armadillo infestation must be controlled, because the problems will rise very soon just after it has burrowed around the property. The first problem with the burrowing is that they will ruin the pipes and the wires under the ground. They are good and very strong diggers, when something gets in their way, they will choose to go instead of being around. The next problem is that if there are lots of dirt that will be taken off the ground, the structure of your home will weaken and it will be prone to cracking. The armadillos can really get a lot of dirt. This is the reason why armadillo infestation must stop and one way to do that is to kill the sources of food in your soil and then wait for them to come out of the burrows and then seal the soil. Get rid of armadillos by setting the trap on the burrow is just one of the best thing to do. They can bring you a big problem when they move into the current burrow or through cavity underneath the shed or in your home. Even if most of the armadillos are shy type and they are very much aware of their surroundings even if they have a poor eyesight, they can smell, using their powerful sense of smell and they will know where humans are, they will not near you. But they can stay in the cavity just nearby the shed, the porch, deck and that may bring a possible risk to the places that they will invade. 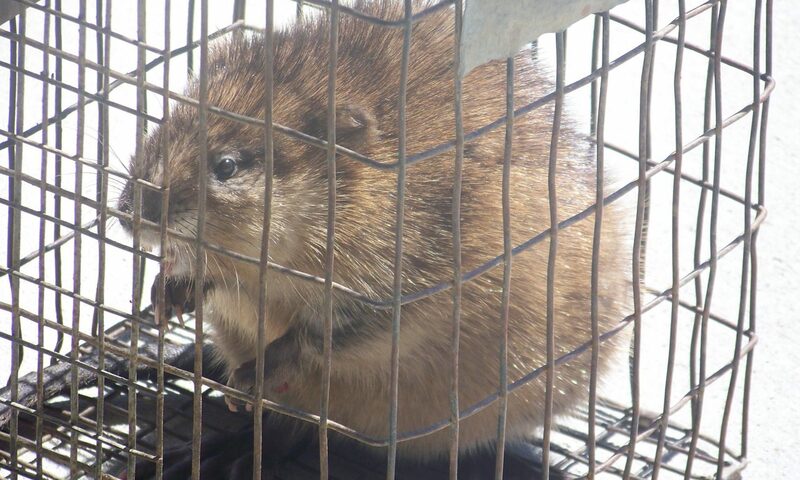 There are solutions available, however, most of the people will choose to trap them using a cage to enable them to catch and relocate them in another place that is far from where they are caught. If the burrow or the cavity of the armadillo is more than 1, it is essential to block or to seal the other exit points, so that the armadillo will not have any option but to go out through the hole left where the trap is set. 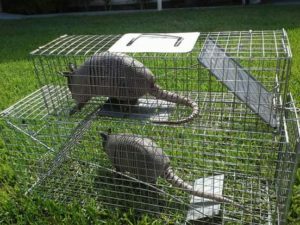 The cage trap must be placed as close to the hole, however if there is no possibility that the armadillo will get the trap, then you can just use a wire mesh to guide the animal into the trap for easy catching. Most of the damages brought about by armadillo is because of the burrowing of the lawns, vegetation, flowerbeds and even golf courses. To know if your property has been infested by the armadillo, you can check the yard for holes. They typically uproot the flowers and various plants. Some of the damages has been because of the burrowing under the structure, home foundations and driveways. Some of the people complain about armadillos keeping them awake at night time by rubbing the shells against the houses or against the home structures. Raf's wildlife is here to help you with you wildlife problem.